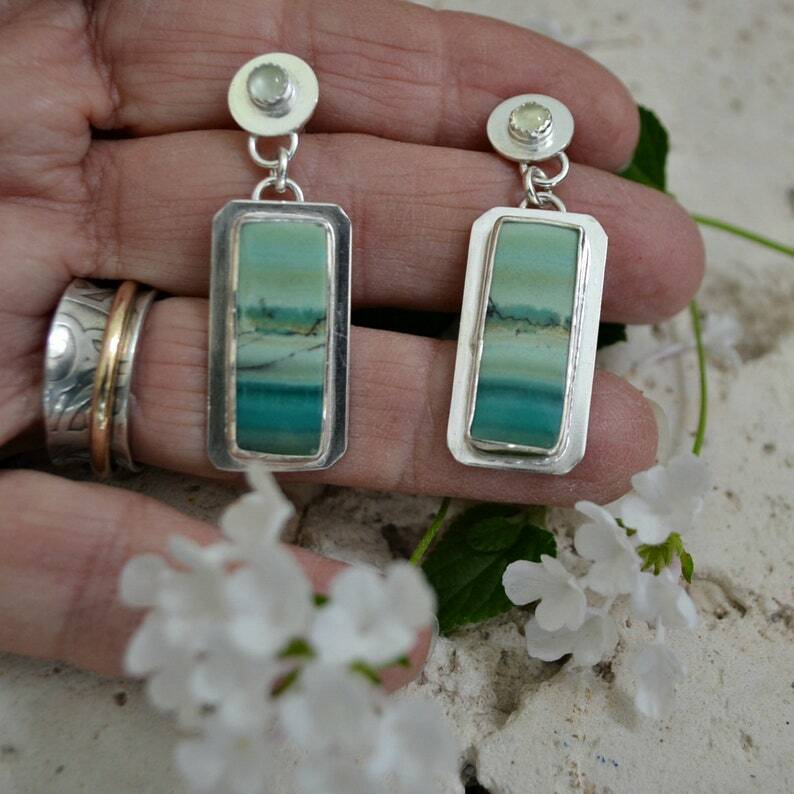 This pair of earrings feature petrified wood from Indonesia, called Indonesian opalwood set in sterling and fine silver . The blue color is caused by copper minerals as the wood became petrified. They hang from a round disk with pale green chalcedony and posts. If you don't want the posts I can detach the disk portion and just hang the rectangles on earwires for you. As you're dealing with winter, these will help you dream of summer. These stones have the perfect depiction of the beach...... tropical colors of water and sky, which has always drawn me in. A world of wonders; sometimes tranquil and other times turbulent and always changing. 1-1/2 inches long from the post. each earring weighs approx. 5.8 grams. The metal is a combination of sterling silver (92.5% pure) and fine silver (99% pure). The setting features leaves and decorative balls. The backs have been given a pattern of fern leaves which is also repeated on the pendant bail. 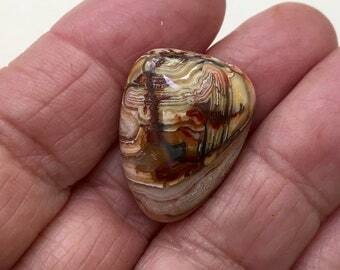 I do have some more similar stones so if you'd like a pendant or ring to coordinate, I take custom orders. Please read policies for all details. By purchasing you agree that you have read and accept all policies as written.